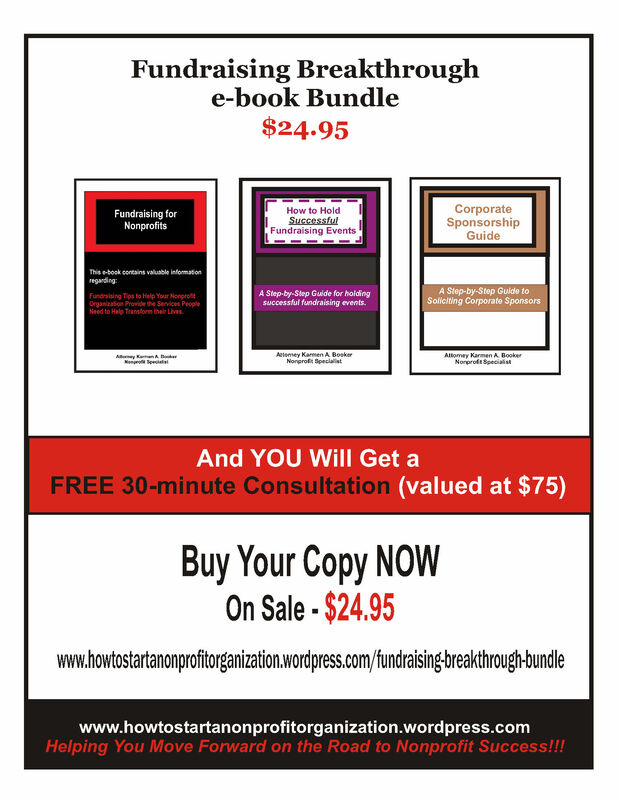 Have you been wanting to start a nonprofit and have no idea where to start? Do you have an idea for a nonprofit, but don’t know how to develop your vision or mission? 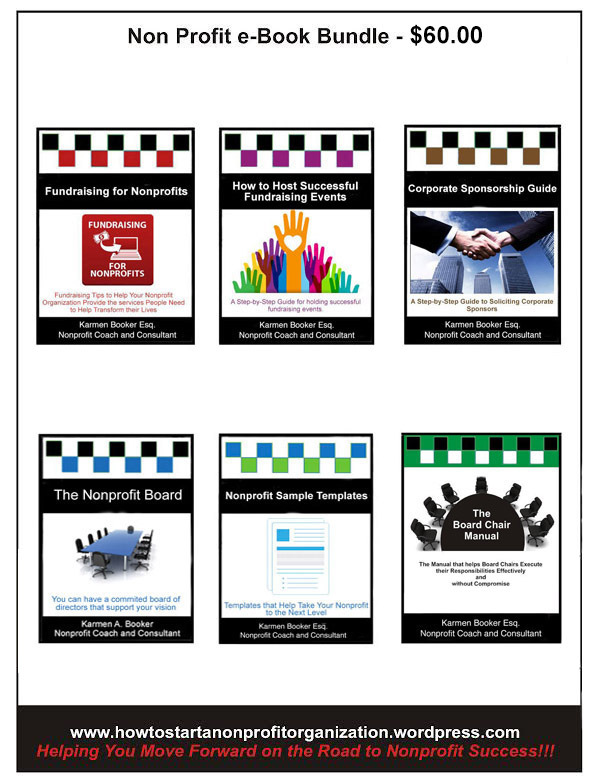 Do you need support and guidance in building your nonprofit from the ground up? Do you wonder how to get committed board members for your nonprofit and how to have effective board member meetings? Are you looking for ways to get donors who give consistently throughout the year? If the answer to any of these questions is “YES”, then I invite you to join me as a participant in my Nonprofit Coaching Program. 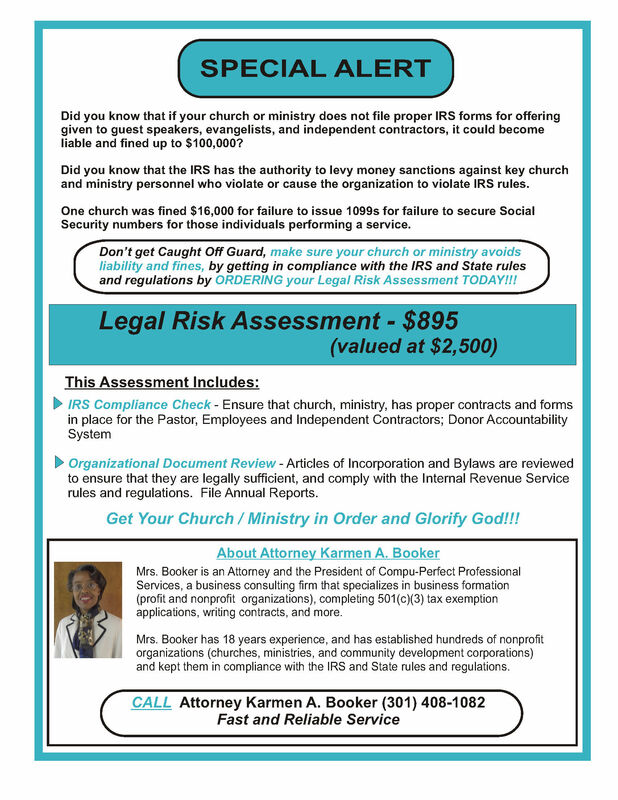 JOIN Attorney Karmen A. Booker to discover key factors for developing and managing a non profit. 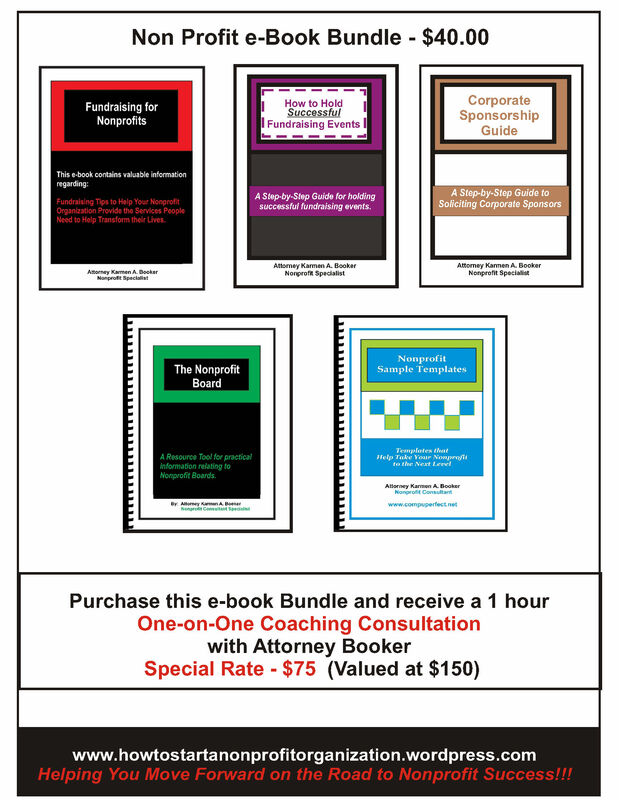 You Will also Receive a FREE COPY of Attorney Booker’s Book, “Nonprofit Handbook”, which provides strategies and effective tools for your Nonprofit Organization that will yield premium quality services for those you serve. 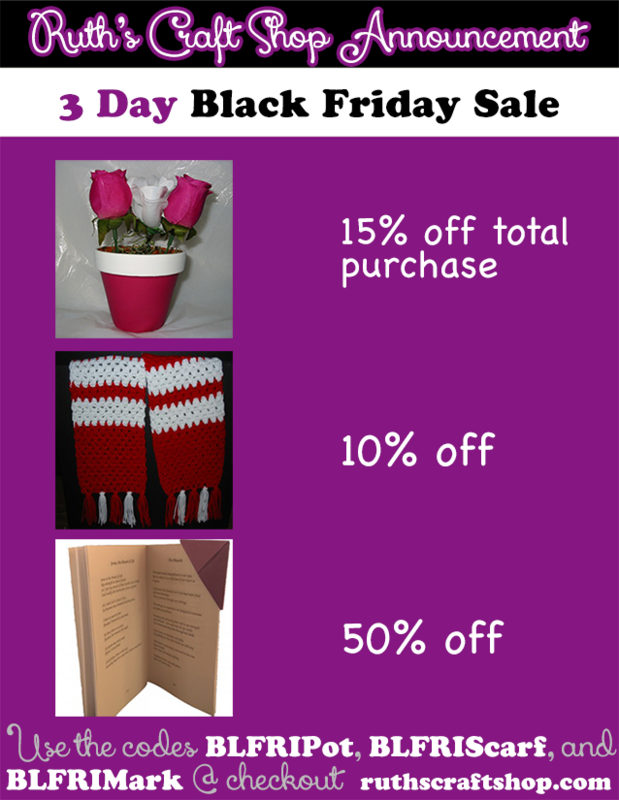 Register NOW, before we run out of space (Only 50 spaces are available): https://howtostartanonprofitorganization.wordpress.com/coaching/This is a GREAT OPPORTUNITY to learn what it takes to establish a non profit organization, maintain an existing nonprofit organization and Take it to the Next Level, so you can help transform the lives of others (men, women, youth, and children) through your non profit programs and services. Oh, and let me mention this . . . 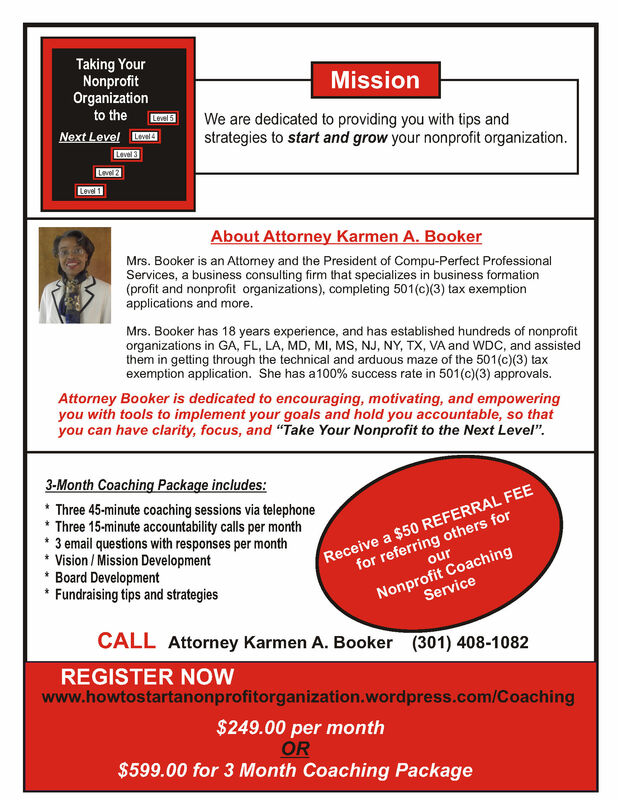 Please make it a priority to join me so we can help you establish and maintain your Nonprofit Organization and Take it to the Next Level. P.S. Yes, by all means please forward this email to as many of your friends and associates as you’d like, so they too can register using the link below, but please remember to register ASAP, so we don’t run out of space.